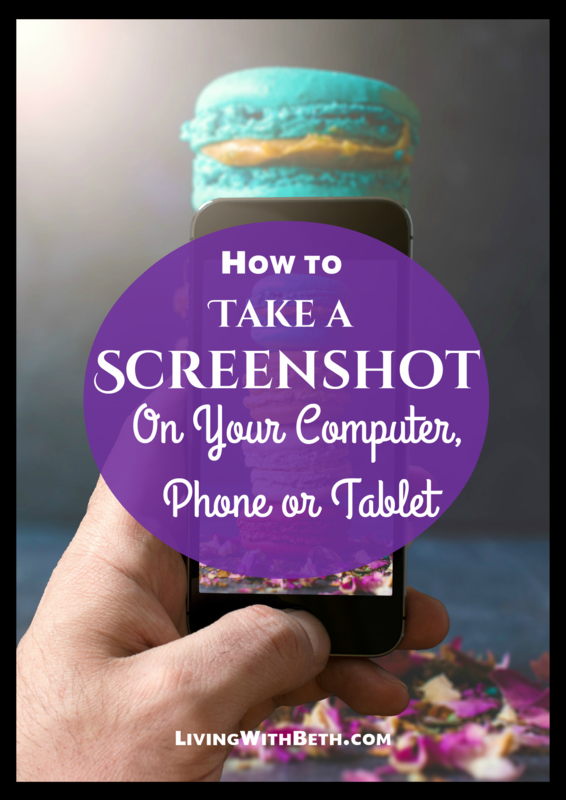 If you need to know how to take a screenshot on your computer, phone or tablet, you’ve come to the right place. A screenshot is a picture of what you have on your screen. 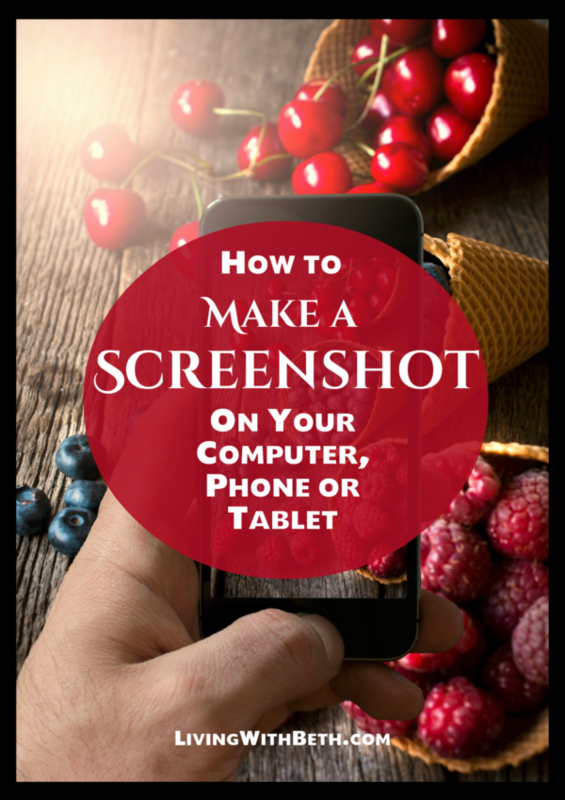 You might use a screenshot in a presentation, Word document or email. It’s especially handy when you’re trying to explain how something works or show someone an error message. 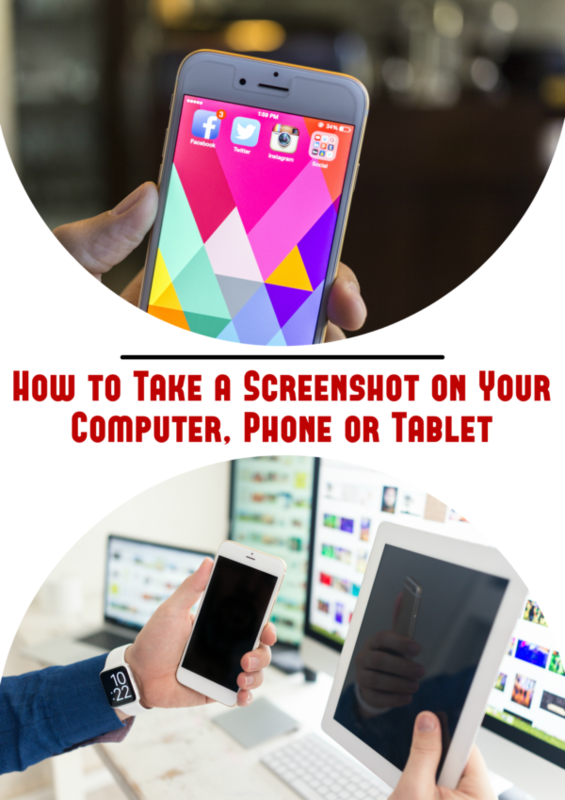 Follow these steps to take a screenshot on your Windows computer, Android phone, Android tablet, iPhone or iPad. To make a screenshot on a late model, high-end Samsung tablet or phone, swipe from left to right using the side of your hand. 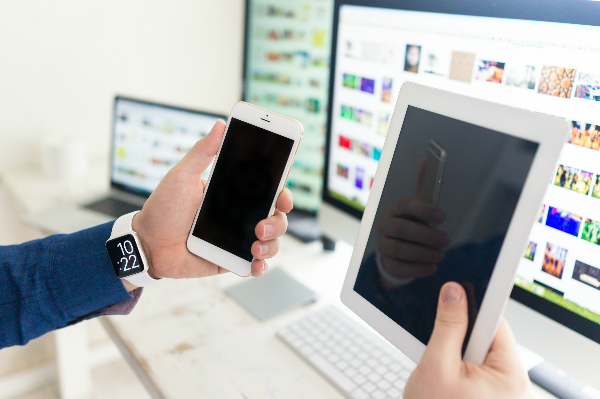 On other Samsung phones and tablets, hold down the power and home buttons at the same time. For non-Samsung Android devices (running version 4.0 or above), hold down the power and volume down buttons. You can find your screenshots in your Gallery app under Screenshots. One of my favorite built-in Windows apps is the Snipping Tool. You can use it to capture any part of your screen and save it to a file or copy and paste it into a document or email. It’s located under the Accessories folder of your Start, Programs menu, or you can type Snipping Tool into Cortana or the Windows search box. In Windows 7, you can start immediately by dragging your mouse around the area you want to capture. In Windows 10, you may need to click New. Once you select an area and release your mouse, you can choose to save a JPG file of your screen capture (click the disk icon). You could also choose the icon with two pieces of paper on it to copy the image to your Clipboard. Then, go into Word or another application that allows pasting, and hit Ctrl+V to paste the image. Without launching any software in Windows, you can hit your PrintScreen button, usually located along the top right of your keyboard. This will capture what’s on your screen and save it to the Clipboard. If you only want to capture the current window, hit Alt+PrintScreen instead. You can then go into another program and hit Ctrl+V to paste it. 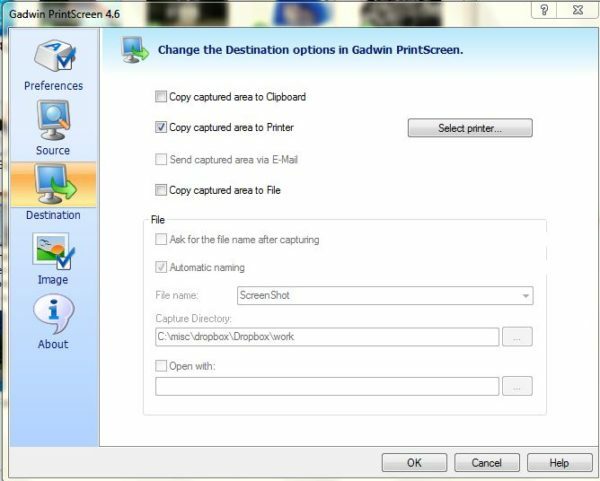 If you need to print an entire application window or your whole screen, you can download and install the freeware version of Gadwin Print Screen software. Once you finish installing Gadwin PrintScreen, you should see its icon in your System Tray on the bottom right side of your screen (click the upward-pointing triangle to view all of your System Tray icons). Right click on the gray Gadwin System Tray icon, which looks like a computer with a camera in front of it, and select Properties. Under Preferences, you’ll want to make sure only Run at Windows Startup is selected. Gadwin’s default hotkey – the key that makes it print your screen – is PrintScreen. In Preferences, you can also pick a different hotkey other than PrintScreen. Under Sources, you can pick Current Window or Full Screen (uncheck Capture Mouse Pointer). If you select Current Window, you’ll need to make sure that the application you want to print from is active, so click somewhere in the application before printing. For Destination, select Printer, and click OK to accept your choices. More information about taking screenshots in Windows is available here. To save a screenshot on your iPhone or iPad, press and hold the Sleep/Wake button on the top of side of your device. Press and release the Home button. You can find your screenshot in the Photos app under Albums, then Camera Roll. Samsung smartphone: Swipe from left to right with your hand or hold Power and Home buttons. Other Android devices: Hold Power and volume down buttons. iPhone/iPad: Hold Sleep/Wake button; press and release Home. Windows computer: Use Snipping Tool or PrintScreen keyboard button. Is Amazon Square Trade Worth It?